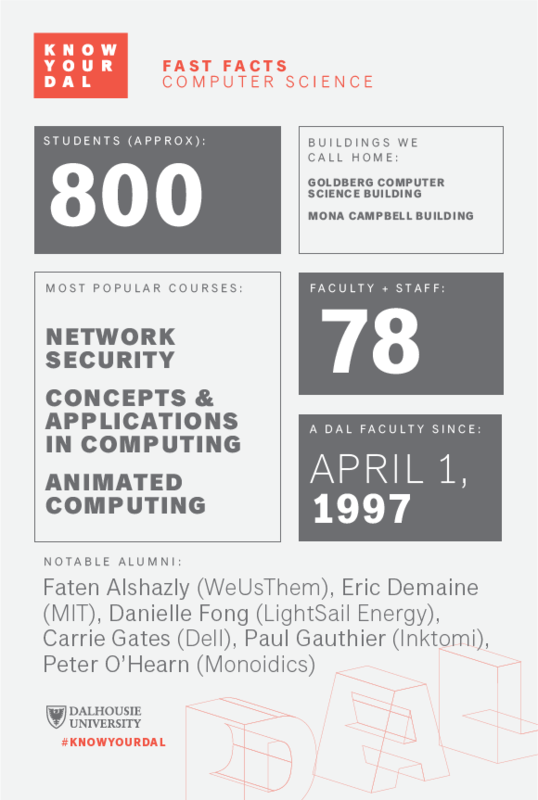 The Faculty of Computer Science joined Dalhousie in 1997 as a result of the merger between Dalhousie and the Technical University of Nova Scotia (TUNS). Prior to 1997, all of our computer science alumni had graduated from either the Faculty of Science or TUNS. Since becoming part of Dalhousie, the Faculty has continued to grow. Computer Science at Dal has two undergraduate programs (Bachelor of Computer Science and Bachelor of Informatics); masters programs in Applied Computer Science, Computer Science, Electronic Commerce, and Health Informatics; and a very active PhD program. We are also home to the Institute for Big Data Analytics and the first ICT sandbox in Nova Scotia – ShiftKey Labs. Our programs and initiatives permeate across all disciplines within the university and industry. 1. 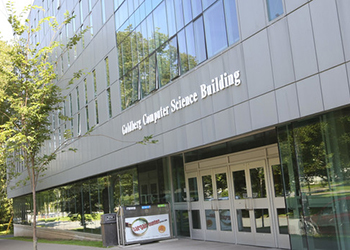 The Goldberg Computer Science Building was named in recognition of a donation by Seymour Schulich and his wife, Tanna Goldberg-Schulich. Though the Goldberg Computer Science Building (6050 University Avenue) opened in 1999, it went by simply the “Computer Science Building” until 2008. That’s when the university named the building in honour of the Goldberg family and in recognition of a gift from Seymour Schulich and his wife, Tanna Goldberg-Schulich. Schulich, one of the university’s most noteworthy benefactors, established a scholarship fund in tribute to Goldberg-Schulich, the Goldberg family and their contributions to Dalhousie and to Halifax. The Faculty of Computer Science has hosted seven annual receptions for students, staff, faculty, and the Goldberg family to recognize each year’s Schulich Scholarship recipients in Computer Science. (There are four renewable scholarships awarded each year, currently valued at $41,900, for first-year students.) This also provides our students the opportunity to formally thank the Goldberg and Schulich families for their amazing contributions. 2. We’re committed to healthy workspaces with our very own Culture of Respect Committee. Computing is a diverse and global phenomenon, as is our Faculty. We have an extremely diverse community with students, staff and faculty from a variety of countries, religions and ethnic backgrounds. It has always been a priority to ensure that all members within the Faculty of Computer Science community feel included and respected. We have an active Women in Technology Society (WiTS), which started as a supportive community amongst female students, but has more recently expanded their scope to create environments that embrace all diversity among students. In April 2015, our Culture of Respect Committee (CORe-CS) was formed. 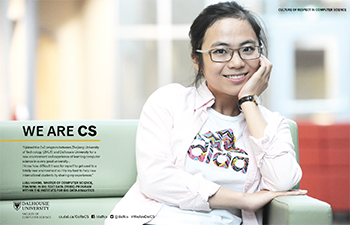 Comprised of students, staff, and faculty members, CORe-CS aims to enhance the learning, social and working environment for everyone in the Faculty of Computer Science by encouraging respectful and bias-free behaviours through engagement, communication and education. Our year-round Bachelor of Informatics Community Outreach course has students from both Informatics and Computer Science working in integrated team projects. Students take the lead on managing clients from requirements gathering to deployment of solutions and training. Elements students deal with include: web site design, development of custom web modules, re-engineering existing web systems in non-profit organizations to add functionality and improve long-term maintainability, search engine optimization, and researching best practices for common situations. Ok, maybe you already presumed that — but we had to boast a little about the volume and scale of research we do with globally recognized companies right here at home, as well as abroad. Our Faculty has always been fortunate in being full of research talent and, in recent years, has successfully doubled our research funding in grants and contracts. We have researchers that work across all fields and industries in our main research themes of: Big Data, Systems, and Human-Computer Interaction & Visualization. We collaborate with large well-known companies like Boeing, for example, to analyze data and text, and to make computer systems more usable. We collaborate with JD Irving, Sobeys, IBM and Ernst and Young — all to improve productivity through analytics. Our researchers work on ideas around Intelligent Communities with smaller organizations like: Leadsift, Citrus Mobile, iWave and Nova Communications on Intelligent Communities. They work on discoveries in science and medicine by collaborating with organizations like Mindful Scientific and Atlantic Microscience. 5. Our Master of Electronic Commerce (MEC) program helps students accelerate a career in analytics or the web economy. 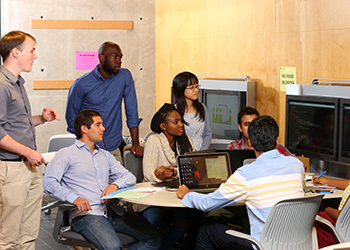 The Master of Electronic Commerce program is a collaboration between Dalhousie's Faculties of Computer Science and Management and the Schulich School of Law and includes customized courses in all three areas. Our MEC is the first of its kind in Canada, and is the only Canadian e-commerce program to feature delivery though collaboration between three faculties. The program blends coursework, research, and business experience to offer an overview of e-commerce and e-business. Students come from diverse academic and professional backgrounds and often have very diverse goals. They might be recent graduates with business backgrounds hoping to enrich their knowledge by studying technology. They might come from web technology or policy backgrounds and are interested in technology start-ups. They might be industry professionals who benefit by performing research in financial risk. Regardless, our program offers a rich experience for launching a career in electronic business technologies. To learn more about Faculty of Computer Science, visit its website. This article is part of "Know Your Dal," a 13-week series highlighting Dal's academic community. 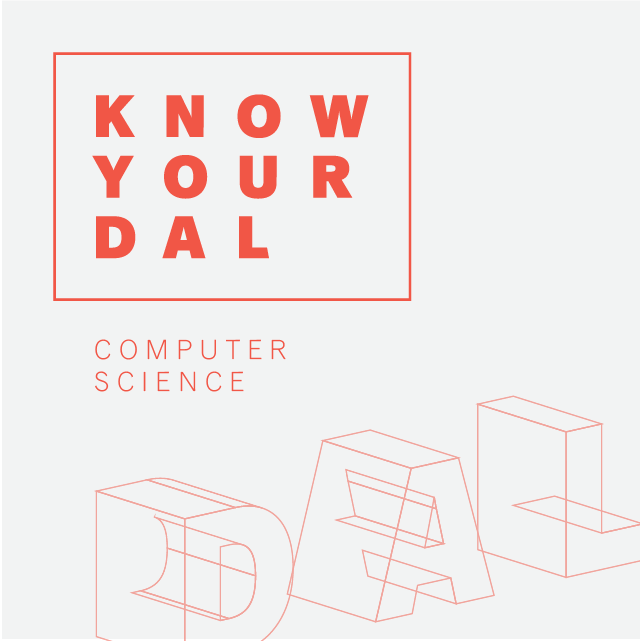 For more, including additional content from the Faculty of Computer Science, visit dal.ca/knowyourdal.